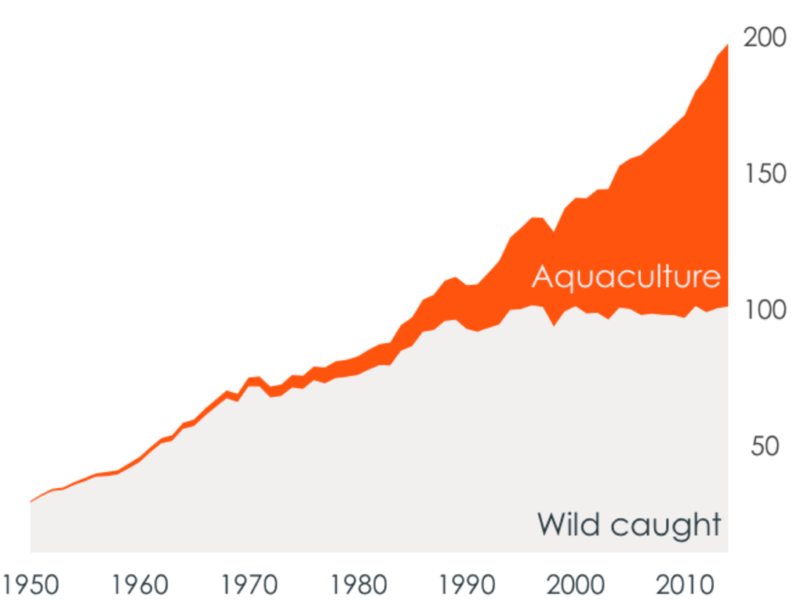 Global aquaculture has experienced sustained growth over the last few decades and two strong drivers are likely to support this upward trend: Increasing population growth and protein consumption per capita. These combined with the largely overfished oceans results in an ongoing need for more protein. Due to the superior feed utilisation of aquatic species, aquaculture is in a great position to fill the increasing demand for protein. Aquaculture’s past growth has resulted in challenges: Increasing farming intensification may result in fish health problems and can impact the farm environment. Higher fish feed demand increases the pressure on natural resources such as fish for fish meal production or land for soybean production. Commodity trading of seafood can result in social challenges. There is a clear need for innovations that reduce operational cost and risk for farmers, while providing sustainable growth for the industry. In recent years a growing interest in aquaculture resulted in more R&D effort, both private and public. The impact of these innovations will depend on the ability to successfully commercialise them over the coming years.